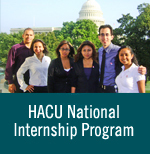 Please complete the following form to reserve advertising space in The Voice of Hispanic Higher Education magazine. I WOULD LIKE TO RESERVE: *Ads must be submitted camera-ready originals or PDF files in color only. Bleed and non bleed ads are accepted. No film or native application files (i.e. InDesign, Illustrator, etc.) will be accepted. 300 DPI Formats acceptable are PDF, JPG, EPS, TIFF and PSD. Indicate year of insertion. If your insertion is for an inside cover or inside back cover, please indicate preference.